Health sciences articles including clinical, basic sciences, and public health information. Encompasses medicine, nursing, allied health, biological and physical sciences, and humanities and information science as they relate to medicine and health care. Coverage: 1946 - Present, including corrections and daily updates. Produced by the U.S. National Library of Medicine. In addition to PubMed, which is free for anyone to use, Himmelfarb Library also provides access to MEDLINE through Ovid. 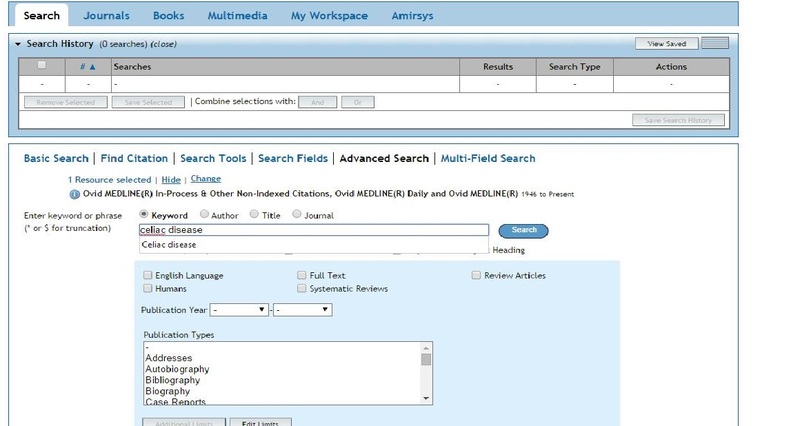 Ovid MEDLINE uses a different search interface than PubMed, and some find that it returns more precise results. To use Ovid MEDLINE, you will need to log in to the Himmelfarb network via the VPN. Video produced by the John W. Scott Health Sciences Library, University of Alberta. You can also restrict your search to retrieve evidence-based results in MEDLINE. Enter a term, then click Search. Once you execute a search, the Additional Limits button will become active, which will allow you to further refine your results. Click on Additional Limits. To limit by EBM/Clinical Reviews, choose Meta Analysis and Practice Guideline from the "Publication Types" menu. Hold down the CTRL key to highlight more than one choice. To limit by EBM/Clinical Trials, choose Controlled Clinical Trial, Multicenter Study, and Randomized Controlled Trial. 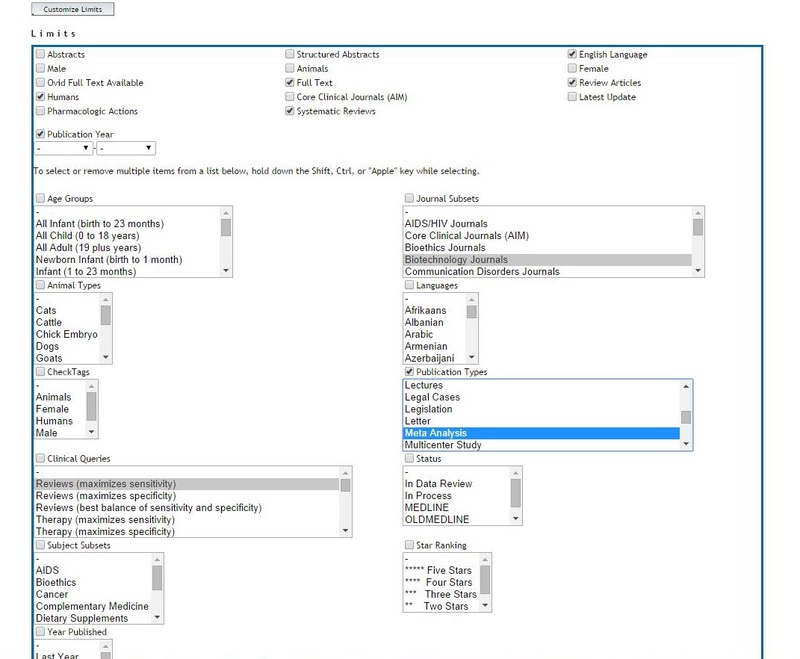 You can also limit by date range (for current research) and specific populations (age group, male/female) if needed.